Our wedding packages include customized set ups and props to enhance your special day. Our Quince packages include prop signs in English & Spanish for your guests to enjoy. Our Sweet 16 photo booth rental comes with themed set ups with "16" props. We provide photo booths for all occasions including corporate parties, birthdays and more. Our new professional grade lighting package is installed in all of our booths for crisp, clear and bright memories your guests will love. 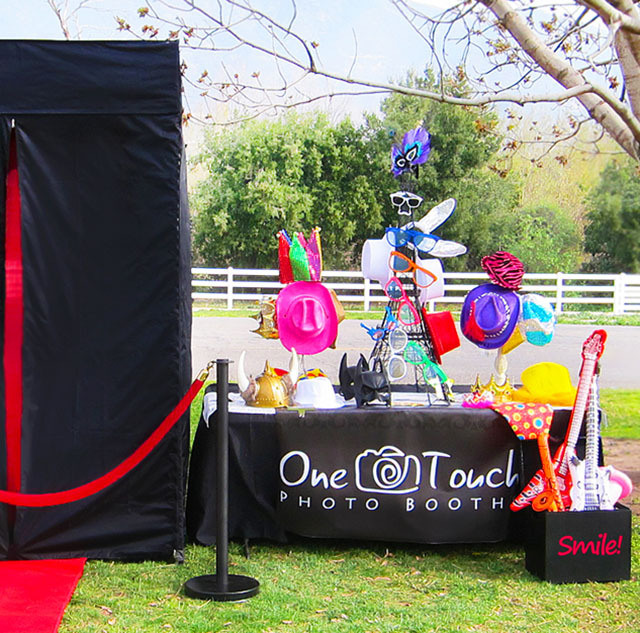 Photo booths are becoming more and more popular for weddings, birthdays, Mitzvah's and other American celebrations. Event planners realize that guests want something special to take home to remember the wonderful time they had at their event. Photo booths make it possible for attendees to take photos at their leisure while they mingle and partake in the party activities. Each guest can also take home photos or email them. What a great way to share the magic of your event with those who were not able to attend as well as thank those that did. Our photo booths can be rented for the time period appropriate for your event. We can tailor your booth experience to reflect your theme, colors, image or preferences. What a wonderful addition to add excitement to your next event. We offer custom packages to fit your event needs. We will do all we can do ensure your event is the talk of the town. After all, it's your party!.